We like to challenge that old stereotype of how “women of a certain age” should dress. A new year (or a date night!) is the perfect time to experiment, re-invent or flaunt the style you’ve learned from being here six decades or more. “Aging gracefully” can also mean “aging fashionably”—so read on for some ideas to make this your most stylish year yet. Keep scrolling to see Stylist-approved tips for looking stylish over 60! Having solid layering options is a must in every woman’s wardrobe. But don’t succumb to frumpy ones that hide too much of your figure. 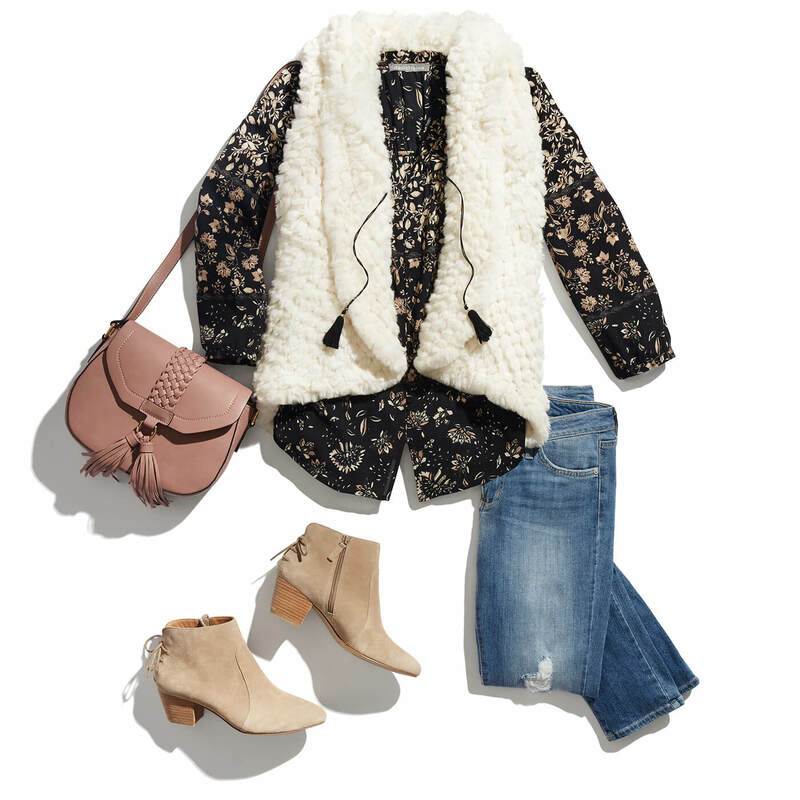 Instead, try out some fun new trends like wrap coats or cropped jackets. The easiest way to freshen up your look is to start from the bottom up with some new kicks. This season’s offerings are all about wearability, with block heels and pointy toe flats leading the charge. The short boot, or “bootie” is another foot-friendly pick that is stylish and comfortable for women of all ages. The return of retro favorites like culotte pants, midi skirts and other items means you get a second shot at pieces you loved decades ago. 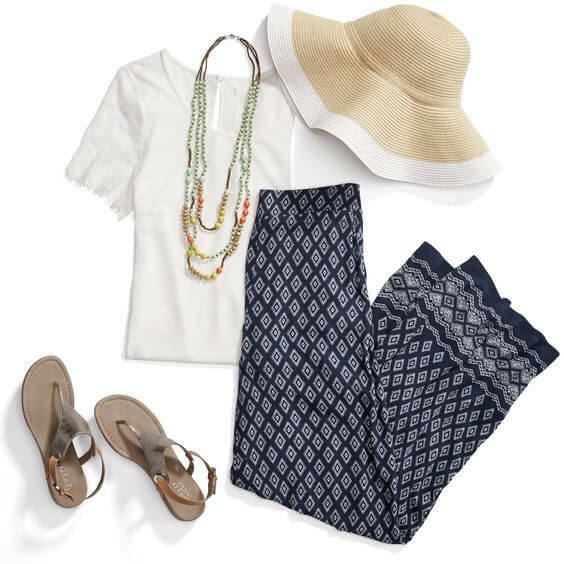 They’re an easy style to add into your wardrobe mix, no matter what your age. Plus, they pair well with equally classic pieces you may already have in your closet, like striped shirts and casual blazers. Stuck in a (grand)mom-jean rut? Make trying a different style one of your New Year’s resolutions. Switch it up with a pair of distressed boyfriend jeans (yes, you CAN wear them!) Or rock out a new dark wash or pair of colored skinnies. Plus, you can never go wrong with a great pair of jeans on date night. 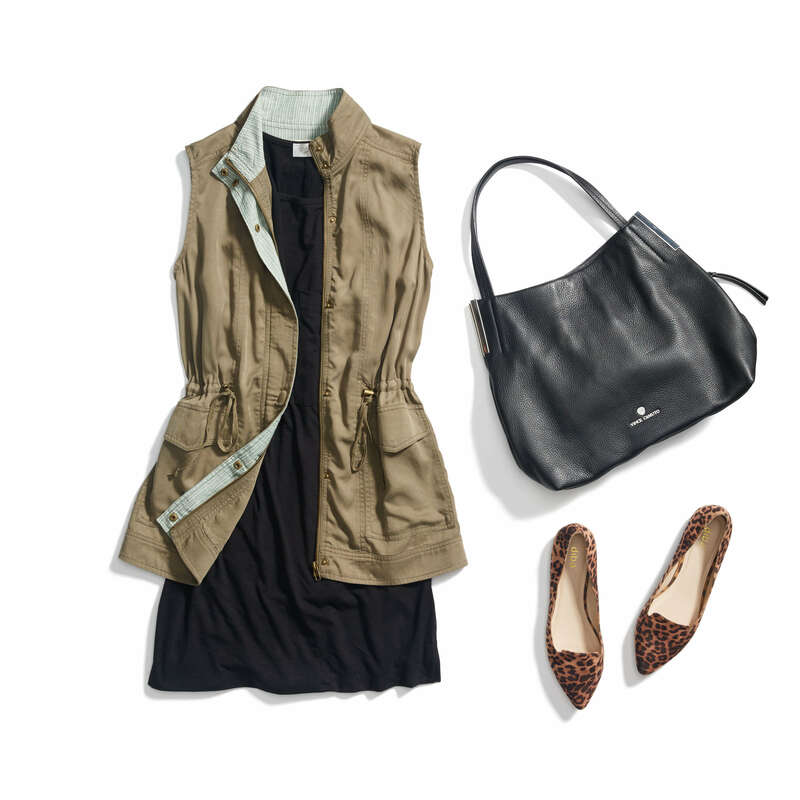 Here at Stitch Fix, we’re all about you finding clothes that make you feel like your #bestself. So if you feel like your wardrobe needs a refresh, be sure to sign up, take your Style Quiz, then wait for a Fix to arrive with fresh, new styles! What are your favorite pieces to wear? Tell us!